Meet the man behind R.E.S.T.O.R.E. Dr. Michael K. Obeng is the founder and CEO of R.E.S.T.O.R.E. Worldwide Inc. R.E.S.T.O.R.E. is an acronym for: Restoring Emotional Stability Through Outstanding Reconstructive Efforts. Dr. Obeng is a board-certified plastic surgeon as well as a Fellow of American College of Surgeons and the owner of MiKO Plastic Surgery located in Beverly Hills California. Dr. Obeng is a highly sought after plastic and reconstructive surgeon. His surgical success, cosmetic and reconstructive expertise and charitable work through R.E.S.T.O.R.E. are often featured on local television stations such as ABC, CBS, NBC and FOX as well as international publications. Dr. Michael K. Obeng was named among, “America’s Top Plastic Surgeons” by the Consumer’s Research Council of America in 2011. He specializes in cosmetic surgery of the face, neck, breast, body, trunk, extremities and genitalia. Dr. Obeng is amongst the few surgeons in the world to successfully reattach a limb. He is an expert in complex reconstructive surgery as well as hand and micro-neurovascular surgery. Born into poverty in Ghana, Dr. Obeng persevered over unimaginable obstacles and overcame all odds to arrive at this culmination of professional and personal success. Dr. Obeng takes pride in treating each patient like family; his deep compassion and care for his patients is derived from his humble beginnings. Dr. Obeng travels to third world countries to donate his surgical skills through his non-profit, R.E.S.T.O.R.E. Worldwide Inc. 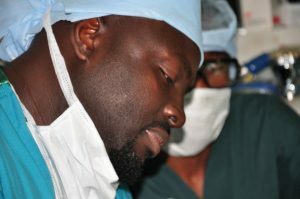 In addition, Dr. Obeng advocates for the underprivileged in the United States by educating patients on safe breast reconstructive surgery options available after undergoing breast cancer treatment. extensive international publications regarding breast aesthetics, augmentation and reconstruction. When he is not lecturing on plastic surgery, he can be found donating his time with R.E.S.T.O.R.E. and delivering his award-winning motivational speech, Perseverance. Future missions will include: Gabon, Columbia, El Salvador, Burma and Vietnam. All volunteers who participate in R.E.S.T.O.R.E.’s mission do so at their own will without compensation. There are additional costs incurred during R.E.S.T.O.R.E. missions such as the purchase of medical and surgical supplies as well as lodging and transport of the R.E.S.T.O.R.E. team. Therefore, I humbly ask for your support in the form of monetary gifts and wills to aid R.E.S.T.O.R.E. in the accomplishment of missions. R.E.S.T.O.R.E. helps to provide reconstructive surgery to individuals with accidental or congenital deformities and also educates local healthcare personnel how to better handle specific patient cases. Your philanthropic monetary gift and/or endorsement will make our continued outreach possible. As we grow and continue our missions around the globe, your support will help establish a “home base” for the R.E.S.T.O.R.E. team to run everyday activities and coordinate volunteer efforts as well as secure missions around the world. This will allow me to concentrate on the CORE of R.E.S.T.O.R.E. by concentrating solely on patients. Harvard trained, board certified Beverly Hills plastic surgeon Michael K. Obeng, MD, FACS, was named among “America’s Top Plastic Surgeons” by the Consumer’s Research Council of America in 2011. He specializes in cosmetic surgery of the aging face, neck, breast, body, trunk, extremities and genitalia. Dr. Obeng is among the rare, few surgeons in the world to successfully reattach a limb, and he is an expert in complex reconstructive surgery, hand, and microneurovascular surgery. 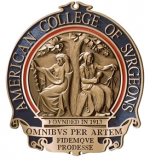 He has garnered many prestigious awards, including a research grant from the National Institute of Health (NIH), and the coveted Herman B. Barnett award in Surgery and Anesthesia. He has also published extensively, and lectures on breast aesthetics, augmentation and reconstruction to international audiences. When he is not speaking on plastic surgery, donating his time with RESTORE, he can be found around the nation giving his award-winning motivational speech, Perseverance.